Madeleine has been an artist for many years, and her watercolour paintings shadow her renowned father Sydney Vale. 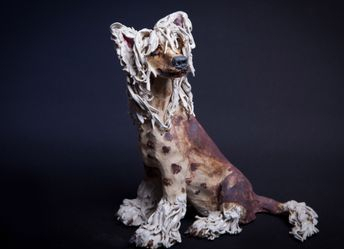 The inherent beauty of animals has always fascinated and 3 dimensions has been a welcome addition to her talents since picking up clay and discovering the potential of firing wonderful character sculpture in her studio kiln. She is fast becoming pre-eminent in her field of sculpture, and collectors world-wide now appreciate her work.